Calling all Upper Midwest Disciples! The Local Arrangements Committee is hosting a friendly competition to see which of the Upper Midwest churches can bring in the most members to General Assemble 2019. The competition will be based on the ratio of attendees to members, so small churches and large can compete alike! The winning congregation will get to celebrate with a guest preacher and fellowship dinner hosted by the Christian Conference Center!! Worship if free to attend each evening regardless of registration, but there are many fantastic activities and events that are included with registration. Sunday, July 21, 2019 will be Upper Midwest Day at Assembly. We will be hosting a gathering of disciples from across our Region on this day and hope to connect with each other and celebrate our Region in a very visible presence. Volunteers get a discounted rate for Assembly--there are lots of opportunities, big and small. Sign up today and then register with the discount! Don't let lodging costs keep you from coming! We will be working to offer Disciples hosts in the Des Moines area for those who are interested. Volunteer greeters will be needed in the near future as classes are determined. Worship is free!! Consider carpooling and coming as a group. ​Join First Christian Church for a Habitat for Humanity Work Day. Join us Sunday, February 3 as we celebrate Boy Scout Troop 500. ​Troop 500 is a large, active group of young men and leaders with much to share. They are led by dedicated parents and supported by the Board and congregation of First Christian Church. The Stewardship and Finance Committee is once again offering the congregation an opportunity to “adopt” families this Christmas. A star tree will be in the narthex with the children’s names, ages and gift suggestions on each star. Choose a star then purchase and wrap the gift. Please put a name tag securely on the gift. Family gift baskets will also be given to each family. Cards listing suggestions for gift items will be available for you to choose. Examples might be personal care items, non-perishable food for a holiday dinner, a family game, gift cards to a local store or grocery. 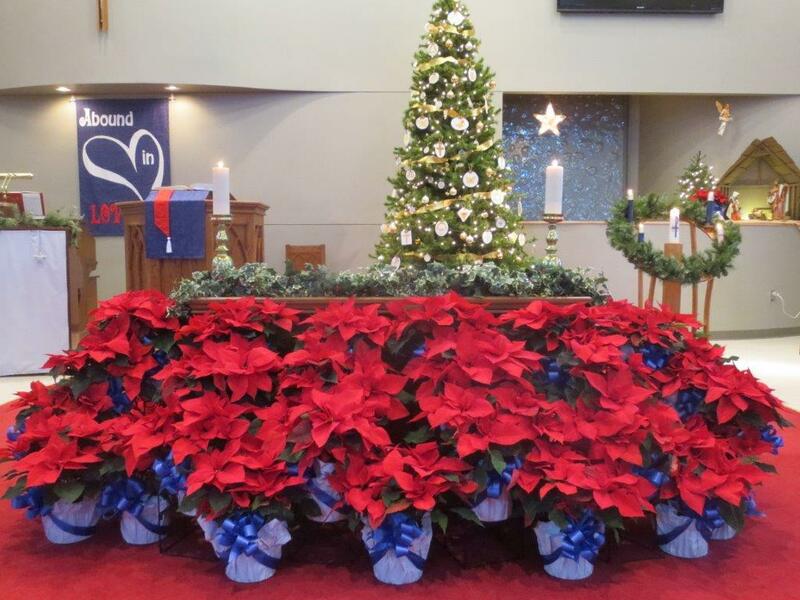 Check out the narthex display beginning December 2. Please return all items by Sunday, December 16. Thank you for your generosity throughout the year, and especially in this sea-son of love and joy. ​December 16 – Music Sunday – Christmas music touches the heart and soul. Make plans to attend this joy-filled worship featuring the Chancel Choir, First Ringers and Praise Team. The signup sheet will be posted in the narthex, after Thanksgiving, to indicate your willingness to purchase a poinsettia for the worship center. Orders for the beautiful Christmas flowers will be received through Sunday, December 16. 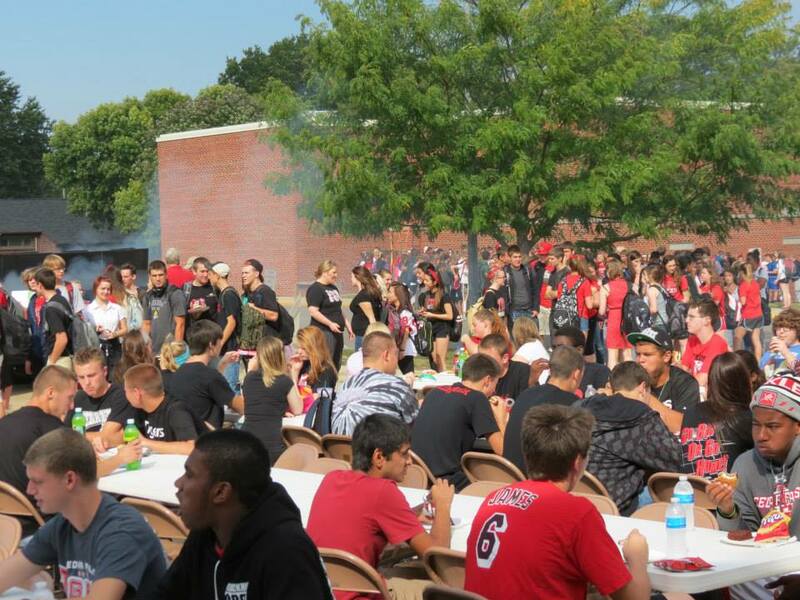 TGIF will be Friday, September 28!! TGIF will be here before we know it, so start looking for those super bargains for pop and water. We serve around 1000 students and staff so we need lots of pop and water. Also be thinking about what treats you would like to make, cookies or bars. Last year the kids preferred the bars more than cookies. They especially liked scotcheroos, pumpkin bars and brownies. If you make anything with peanuts in them, please label them as such. Homecoming will be September 28. Look for the sign up board at the end of August. Details to follow. a joyful noise – break forth into joyous song and sing praises. Watch for registration information Summer 2018. Invite a friend! Scholarships available. Interested in helping? Have a gift to share? here is the link to the facebook group CCUM Fall Women's Retreat.